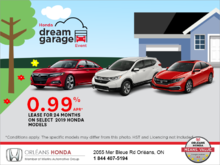 Discover our large collection of new Honda vehicles at Orléans Honda today. 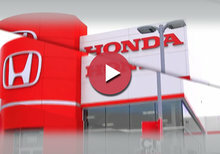 Our new, state-of-the-art showroom near Ottawa and Gatineau showcases a large collection of new, high-quality Honda models. Our lineup includes Canada's most popular vehicle, the Honda Civic and a full selection of the Honda Accord and the Honda CR-V. If you're in need of a spacious vehicle, discover the Honda Odyssey or the versatile Honda Pilot. 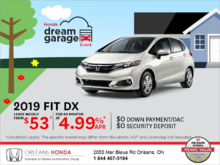 If fuel economy is your priority, the newly redesigned Honda Fit, as well as the range of Honda Hybrid models, will meet your needs. The Honda brand is continuously being renewed in order to keep with Honda's top priorities of safety, reliability, efficiency, and performance. When you visit Orléans Honda, you will be welcomed by a knowledgeable and experienced sales team that looks to exceed your expectations. 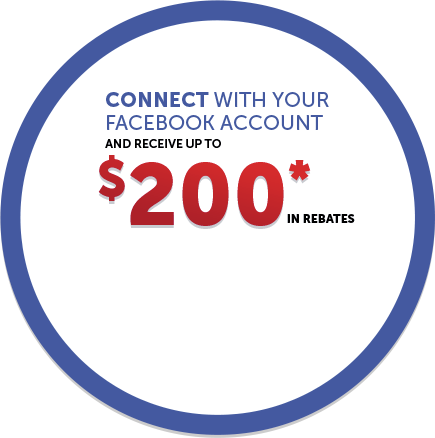 The sales team at Orléans Honda will take the time to listen to your needs in order to find the perfect Honda vehicle suitable for your lifestyle and within your budget. 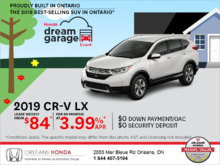 For more information on the complete range of new Honda models or to book a test drive, contact Orléans Honda near Ottawa and Gatineau at 1 844 407-5195 or through our contact form.